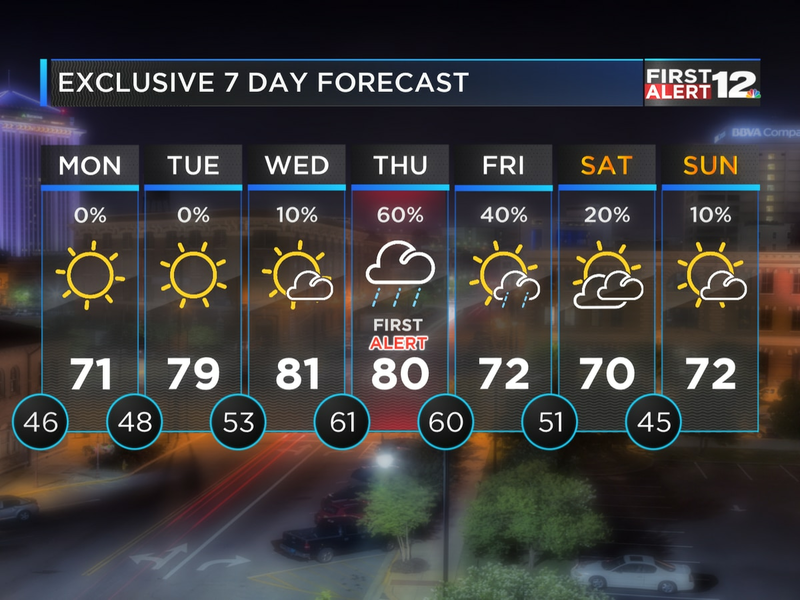 WSFA 12 News has declared a First Alert Weather Day for Thursday night and early Friday morning. After a mostly dry Thursday, a line of intense thunderstorms will sweep across the state from 6pm Thursday through 6am Friday. Within this line, the most intense storm cores will be capable of large hail and gusty wind. 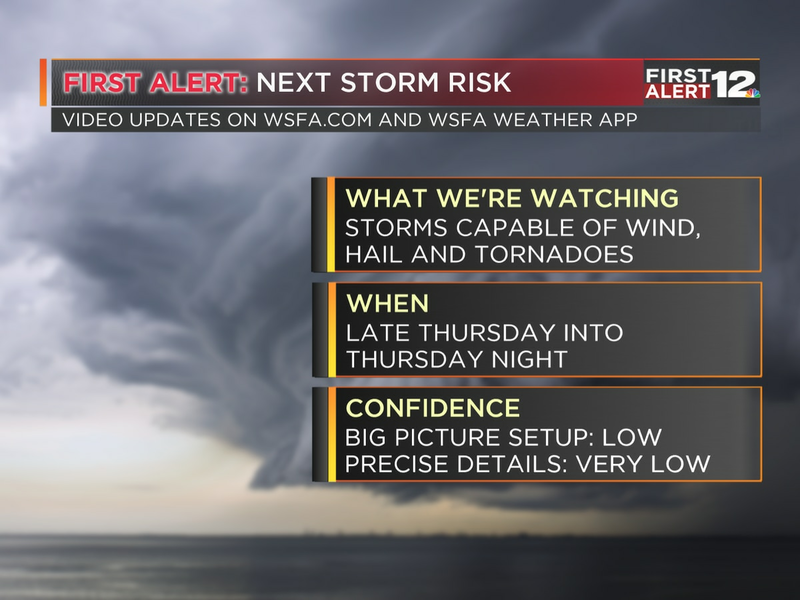 And, given the ample shear in the environment, a few tornadoes are possible, too. 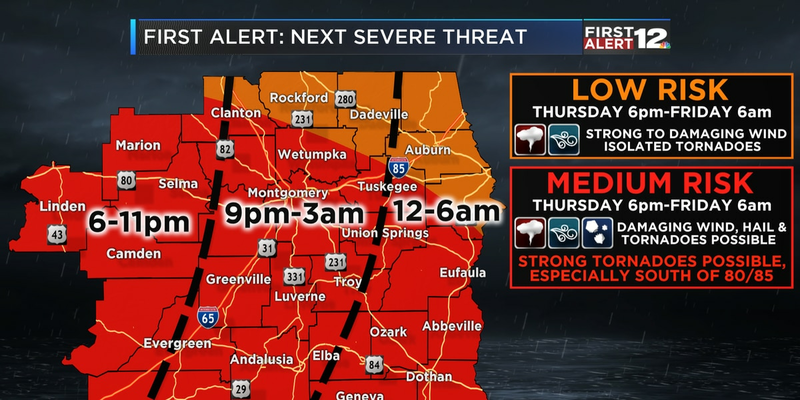 Read our severe weather special discussion here!